Our Partners represent some of the most experienced retail and corporate tenant services firms across multiple markets. If your company is seeking expertise and resources to professionally manage or negotiate your real estate portfolio then contact a LeaseEagle® Partner today. In addition to transactional and strategic real estate advice our Partners can deliver your LeaseEagle® implementation using best-practices and training certifications. Whether you require data auditing, implementation services or support, LeaseEagle® Partners can deliver what you need. SITE Property was established in 2006 and is New Zealand’s largest dedicated tenant property firm, providing strategic consulting, acquisition transactional and management services for corporate and retail businesses throughout the ANZ region. 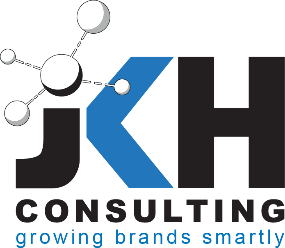 JKH Consulting is a strategic property partner for retail brands in Southern Africa. As an outsourced leasing department, we grow brands smartly through intelligent data analytics, financial expertise and legal know-how. Our core philosophy is centred on our reputation, our relationships and our enthusiasm! Rook Salinger is a boutique consulting group, providing property and operations based professional services to a wide range of corporate enterprises. Rook Salinger act as independent advocates for tenants and operate on a National basis. Established in 2001, Stenton is a boutique management consulting practice specialising in the Fashion and Retail Industries. Stenton manages projects across several significant capabilities across Australia and New Zealand, Singapore and the UK.